Within Teamwork Desk, you can export the companies from your site. 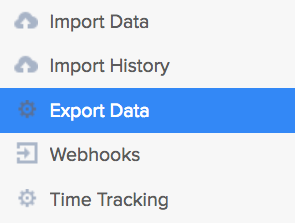 From the left pane, select the option to Export Data. 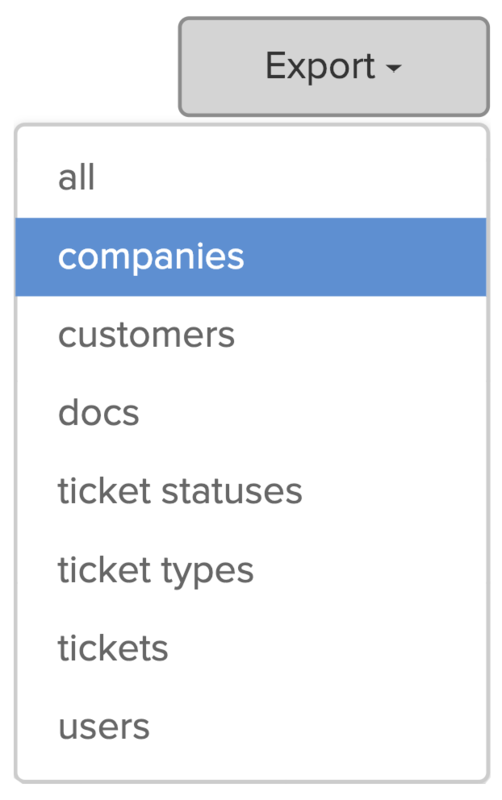 To the top right of the page, click Export and select companies from the dropdown. The export will begin automatically, and a message will appear in the bottom right. Once the export is complete, it will appear in the exports list, along with any previous exports. You can see when the export was created under Creation Date. You will also have the option to download the export to the right. Note: This can still be overridden at an individual customer level. Domains - which domains have been enabled to automatically add new/existing customers to the company. Address - broken down into individual fields, allowing you to drill down into cities, states, postal codes etc. Why Can't I Edit the Company on a Customer's Profile?